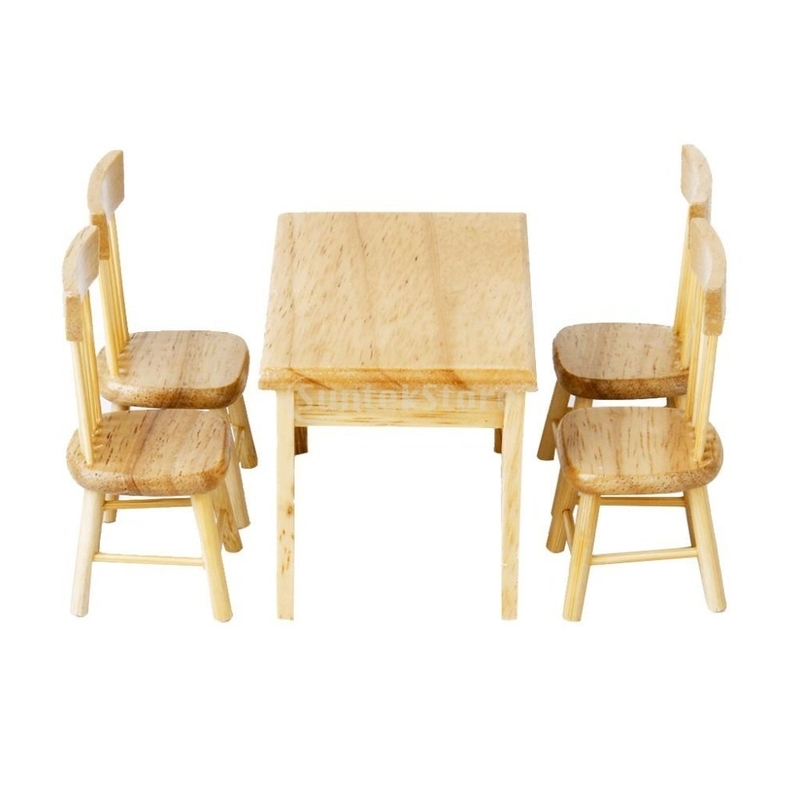 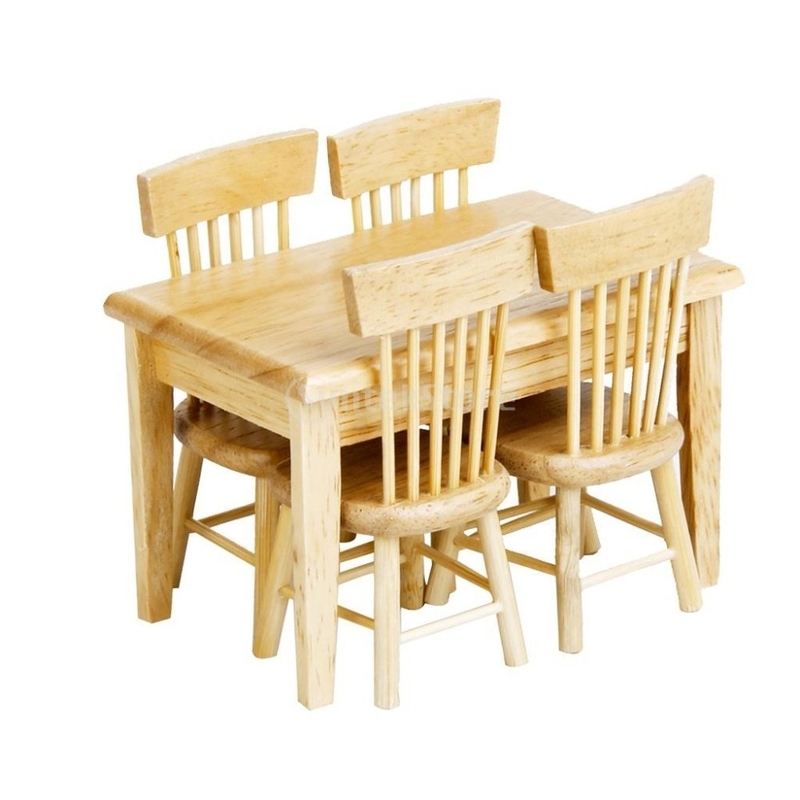 This dining table chair model set is well designed and crafted for your children to have the best house-hold companion for all day long playing. 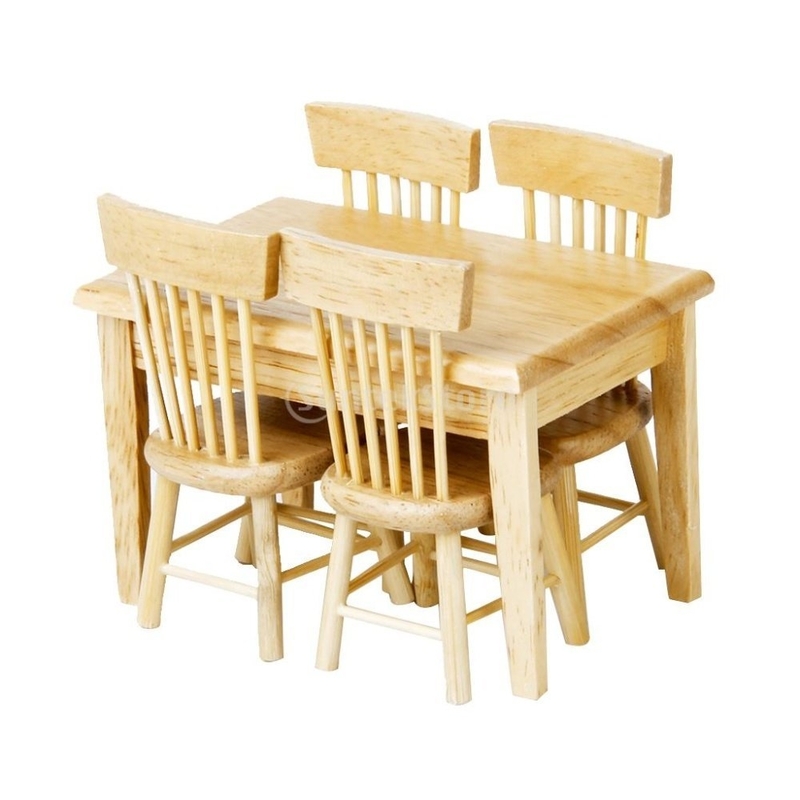 Imitation big table with four chairs which each has a hollow on the back is very stylish and fashionable. 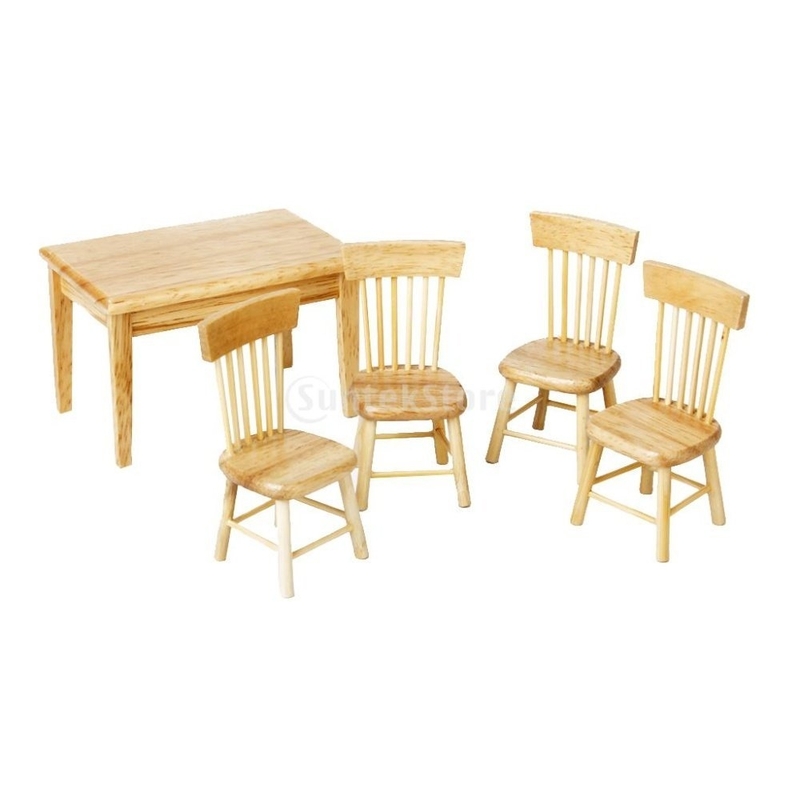 This table model set is great miniature furniture for your dollhouse living room and a excellent decoration for your interior model. 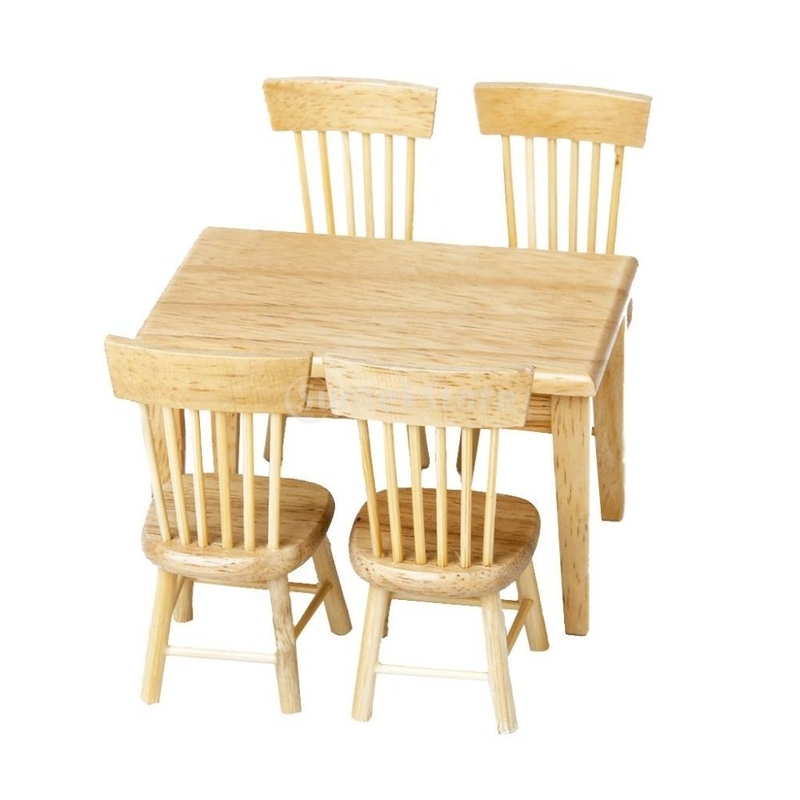 Note: Please be reminded that due to light effects and monitor's brightness/contrast settings etc, the color tone of the website's photo and the actual item could be slightly different.